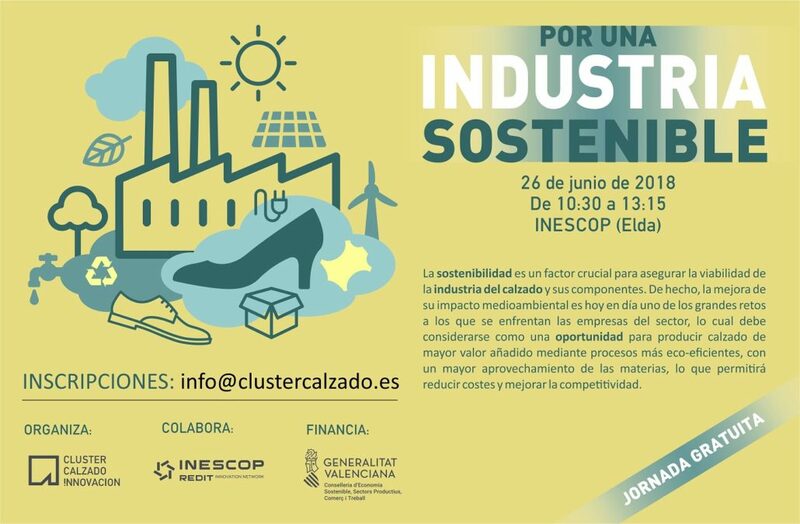 Cluster Calzado Innovación has organised the seminar “Por una industria sostenible” (for a sustainable industry) that will take place next 26th June in Elda. The event will start at 10:30 am and will cover one of the greatest challenges of the footwear industry, i.e. sustainability. The process, from the footwear design up to the reuse of the end-of-life product, involves many different materials, technologies and eco-efficient processes that may provide added value to the footwear, which results in an enhanced product and brand identity and strategy, apart from the multiple implicit benefits for the environment that they bring about. http://clustercalzado.es/wp-content/uploads/2018/06/banner.png 432 1178 Cluster Calzado Cluster Calzado2018-06-06 10:33:412018-06-07 07:18:24CCI organises the seminar "For a sustainable industry"